Recent addition to the collection. So the question is….Were the RHM ingots forfeited (1 oz, 10, oz, etc…)? If they were, you won’t be seeing them being sold at the RHM website. Recent Liberty Dollar item sold at RHM website are a combination of RHM and Liberty Dollar design elements (these are not considered “counterfeit” per the forfeiture order). Several new coins placed for sale at the RHM website. Here is a new pricey and rare item. I recently purchased a presentation piece with 2M-34 obverse and reverse attached to its cover. 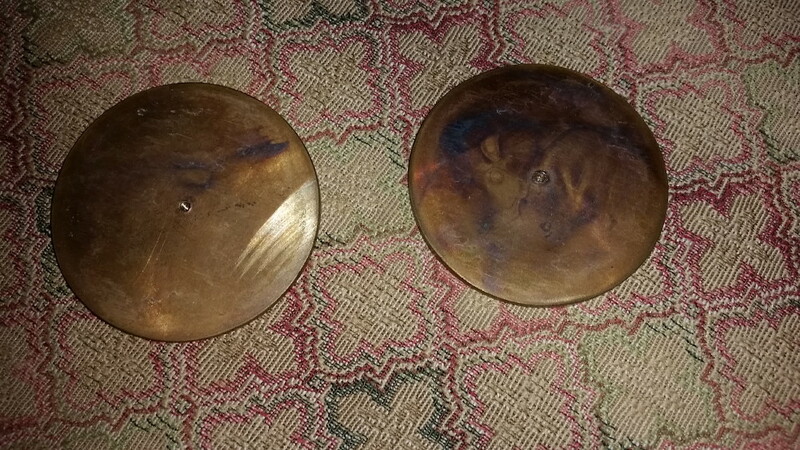 I removed the medals and discovered they are uniface pieces (not a medal cut in half nor two separate medals with the undesired side grinded down). 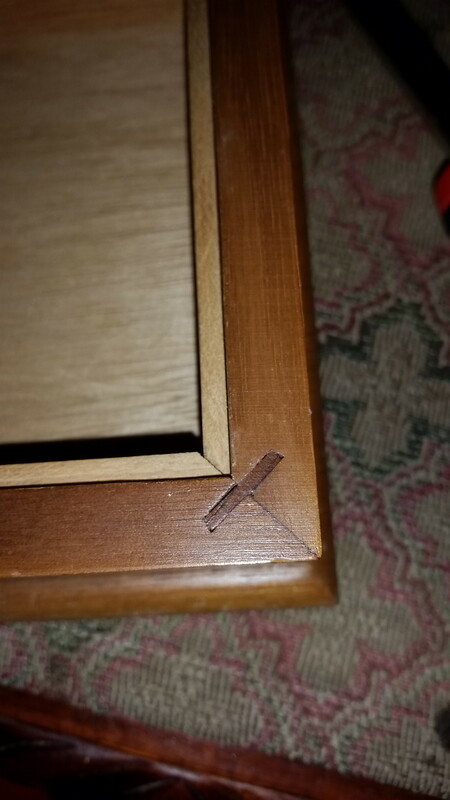 Overall the box is in good shape and craftsmanship is excellent . 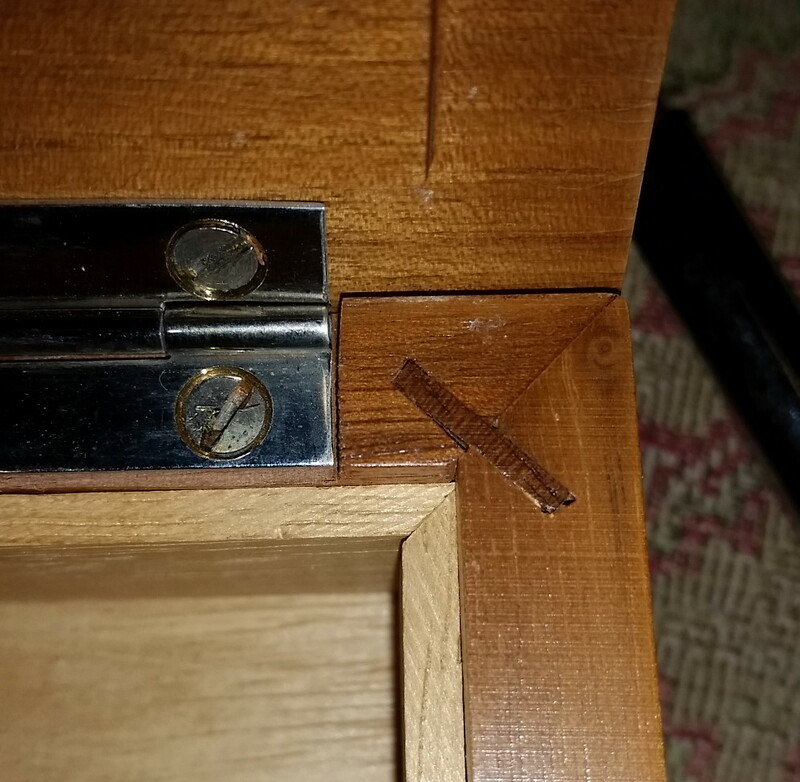 I ‘m having the piece looked at by an expert to see what is the best way to restore this presentation piece. 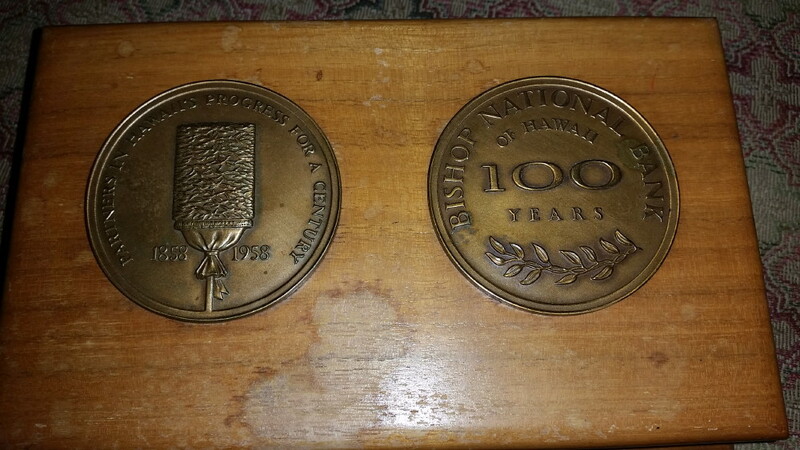 I do collect Hawaii Banking memorabilia and this is a nice Bishop National Bank piece. 1) Royal Hawaiian Mint issued over 55 coins with the image of Princess Victoria Ka’ulani. 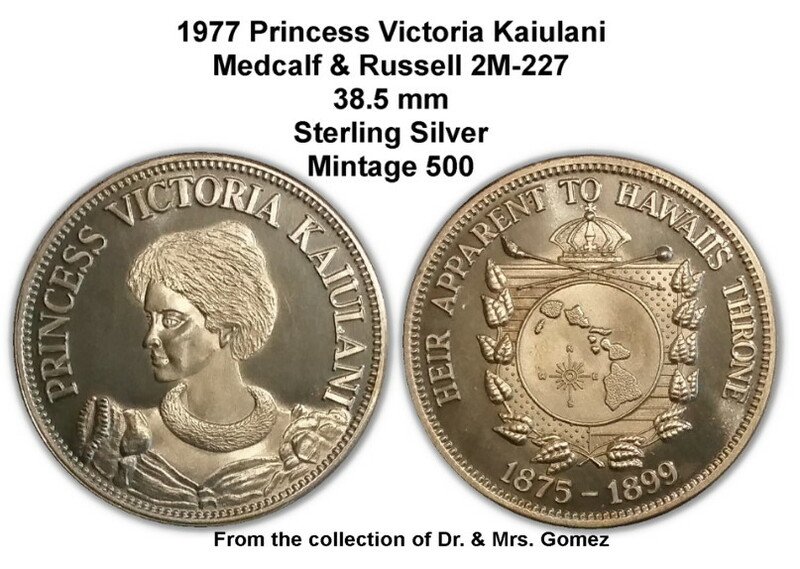 2) Krause Publication is the only major publisher that has cataloged (less than 15) the Royal Hawaiian Mint Royal Princess Victoria Ka’ulani coins. 3) Royal Hawaiian Mint struck the Princess Victoria Ka’ulani coins in four different metals. 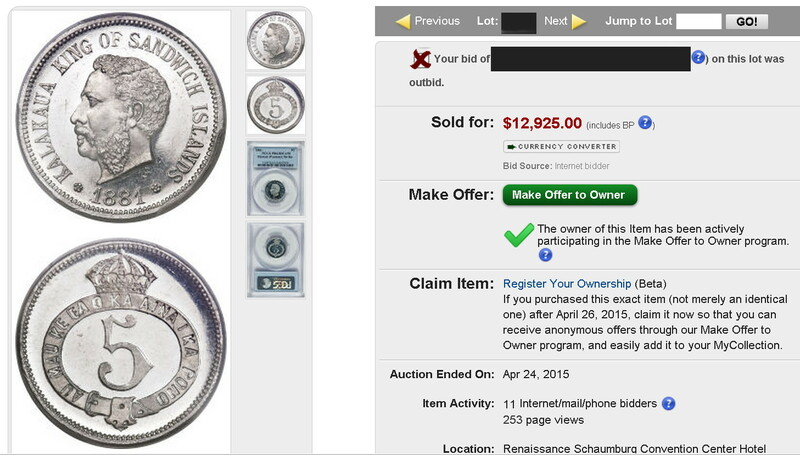 4) The largest Royal Hawaiian Mint Royal Princess Victoria Ka’ulani coin is 39 mm. 5) The smallest Royal Hawaiian Mint Royal Princess Victoria Ka’ulani coin is 10 mm. 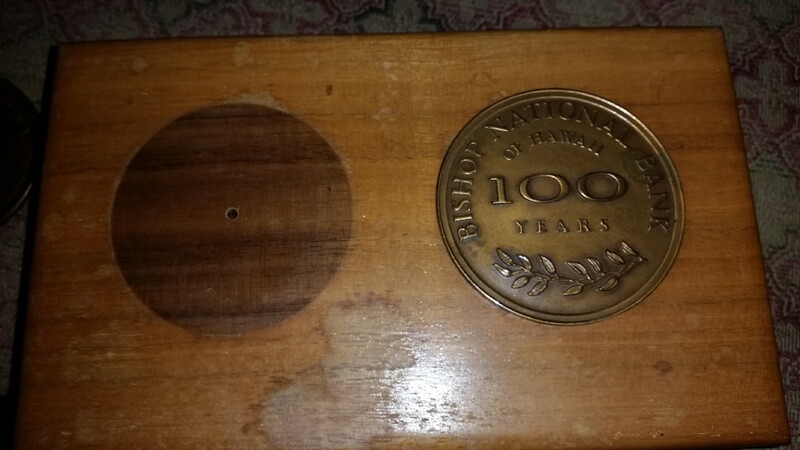 6) Royal Hawaiian Mint Royal Princess Victoria Ka’ulani coins were issued in 10 different diameters. 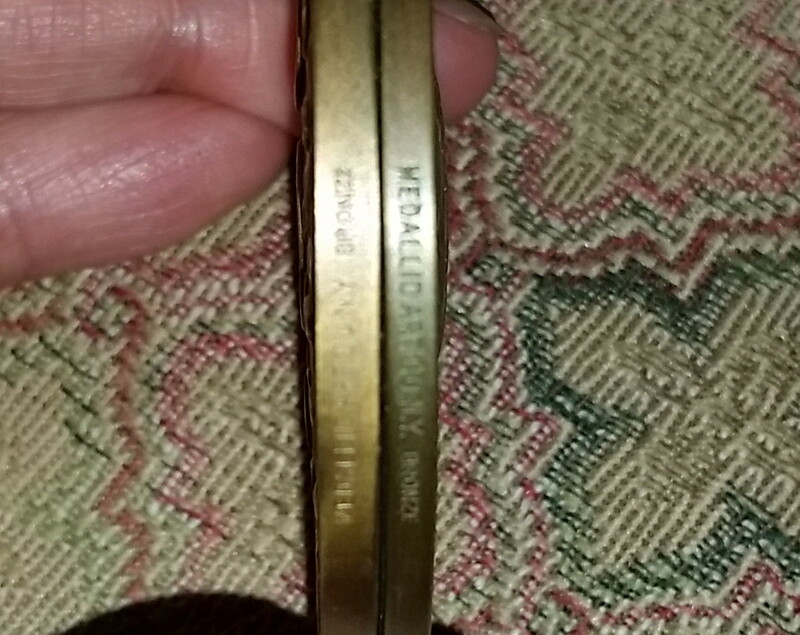 7) The 13 mm Royal Hawaiian Mint Royal Princess Victoria Ka’ulani coin is the diameter with the most issues. Apparently, my internet bid was beaten by live bidding…. Then there was a holded copper restrike sold on eBay within this past week.